When you think about building closet storage, you might envision an expensive, logistically complicated process. For bigger, more elaborate closet projects, that may be the case. But what if your closet building needs are more modest and constrained by important factors like room space or budget? Adding high quality closet storage anywhere you need to is exactly what makes create-a-closet® so appealing. For anyone looking for versatility and cost-effectiveness when it comes to adding closet space, create-a-closet® is the perfect storage solution. If you don’t have the luxury of having a spacious dressing room/walk-in closet, adding supplemental closet storage to your traditional closet space can be very helpful. Perhaps your needs aren’t even about adding supplemental closet space – it’s about having any closet space. This may be the case if you live in an older home, which can have little to no closet space. There are a few options available, but not all are ideal. Some people buy a clothing rack that sits in a corner, which doesn’t allow you to keep your clothing out of sight. Others may buy wobbly portable mesh storage wardrobes with zipper openings. Unfortunately, both of these storage ideas end up looking as cheap as they cost. 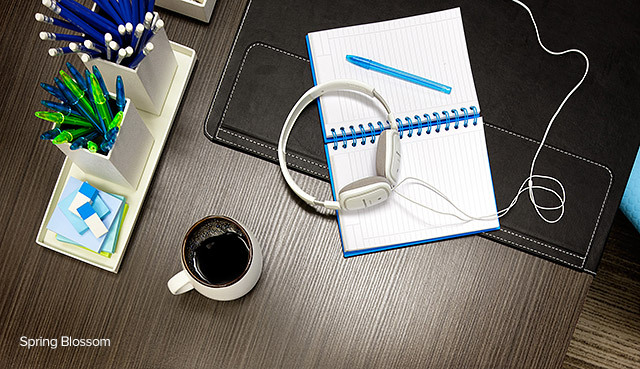 They also contribute to a room’s cluttered look. 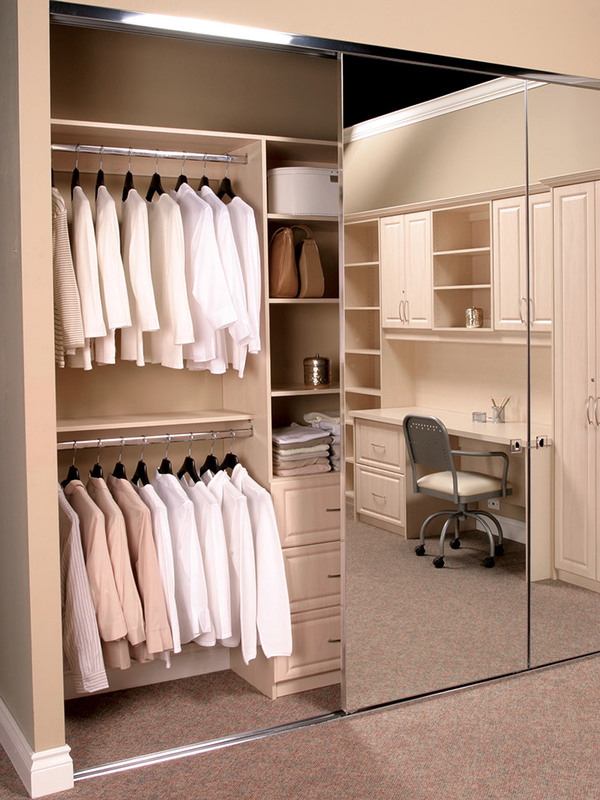 A custom wardrobe works much better in a room, as will create-a-closet®. The process of installing create-a-closet® is quick and easy. The door-to-ceiling closet storage space involves no framing and no drywall to sand or paint. That means there’s virtually no mess. In less time than you might think, your new closet space will be installed and functional. Right away, you can begin enjoying the benefits that building closet storage for a room provides, whether it’s in a bedroom, home office, basement, or laundry room. Having the ability to customize when building closet storage is important, which create-a-closet® allows you to do. This ensures your new storage addition effectively complements the décor of its surroundings. The closet size can be tailored to your available free space and installed to fit perfectly. The doors are an important part of your closet’s design and we offer sliding, solid panel, and mirror doors (which we manufacture ourself) for you to choose from. You can have a say in how the open storage space in your closet overheads is laid out. Closet accessories like a shoe rack or pullout valet rod can also be incorporated into the design to enhance the closet’s functionality even further. The clutter in a room is minimized or even eliminated if there’s ample closet space. Using create-a-closet® as supplemental clothing storage helps ease the burden on your existing closet space. Not only will you have more room for storing things, you’ll also be able to hide your belongings from view with the closet doors. This helps to maintain the clean aesthetic of a space. create-a-closet® is a practical and cost-effective solution to add valuable closet space to a room in need of more storage options. Whether its building closet storage or improving your home with our other organization and storage solutions, Organized Interiors can help. Schedule your free in-home design consultation with us to move forward with your home improvement plan. One aspect of your bedroom that may not have gotten the attention it deserves is your closet doors. There’s a lot of opportunity to improve your bedroom space, however, simply by using some of these useful closet door ideas. Closet doors are capable of being used for more than just hiding the contents of a messy closet. They offer the chance to enhance the décor in your bedroom. Mirrored and wood surfaces can be combined to create a truly dynamic bedroom aesthetic. We have the best selection of detailed mirrored door designs in Canada. Mirrored closet doors make a room seem larger and brighter, as well as saving you the space that a full-length wall or floor mirror would require. Adding floor-to-ceiling closet doors also helps to make a room seem larger. Choose from a wide variety of wood finishes and mirror styles, in addition to framing (or frameless) options. Why buy your closet doors at a big box retailer with their limited one-size-fits-all selection and the hassle of installing them yourself? For the best closet door ideas, come to Organized Interiors. We manufacture our own closet doors, which means it’s easier to achieve the look you want for your closet doors. Custom-made closet doors also offer more flexibility for closet spaces with unique and unconventional dimensions. We oversee every aspect of your closet doors, from design to manufacturing to installation. This beginning-to-end approach to our customer’s product means they’re assured of complete satisfaction with both the look and fit of their doors. Sliding closet doors don’t open into the room, so they use less space. Our closet doors are manufactured with the highest quality track and hardware systems, ensuring many years of smooth, silent, and effortless performance. 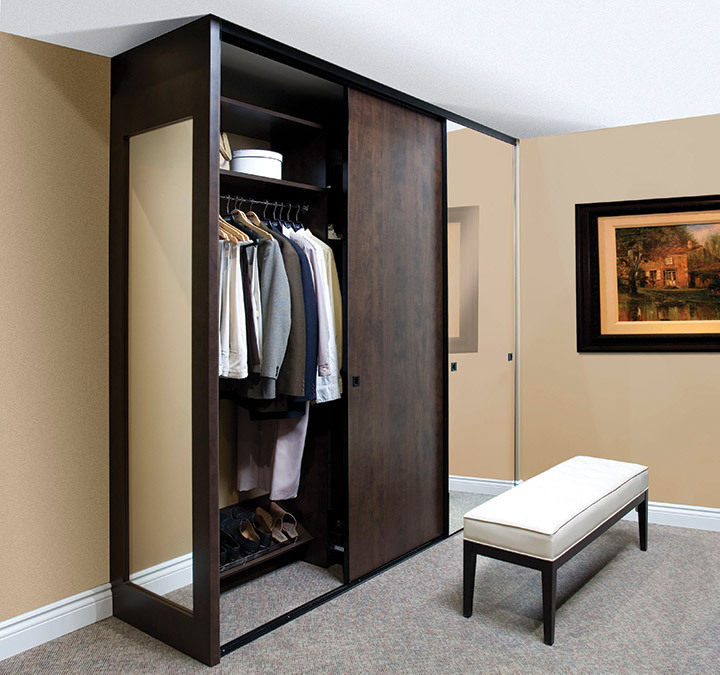 We also offer a tri-access door system, which gives you almost 100% access to the items in your closet. Our create-a-closet® concept lets you use your bedroom’s unused space to create a floor-to-ceiling freestanding closet that gives you more storage space. It can be installed quickly with none of the mess, inconvenience, or high cost that comes with a home renovation project. We’ll help you assess the best spot for your create-a-closet®. Once we’ve installed the hardware, gables, and closet doors in your style of choice, your functional and stylish closet will be ready to use. create-a-closet® works great in any room in your home that could benefit from additional closet space. These closet door ideas can work in a bedroom, guest room, and home office. Visit our unique showroom, which has all of these closet door ideas and much more that will capture your imagination. You can schedule a free in-home consultation with one of our design experts to discuss your plans to improve your closet space. No matter how large or small your home, storage space is always at a premium. It can often seem that, hard as you try to declutter, you just never have enough space to keep the things you really need. And it’s easy to get caught up in the cycle of buying more and more plastic bins to try to meet your storage needs. That often leads to nothing more than stacks of mismatched plastic boxes that you’ve bought and filled at different times, all containing things you need once in a while. But of course, when you do need a particular thing, you’re never sure which bin you put it in … although you have a sinking feeling it’s probably in the one at the bottom of the stack. Part of the solution can be reducing the number of things you keep rather than trying to store them all. But there will always be some things that you need to store – and we have a better way for you to do it. 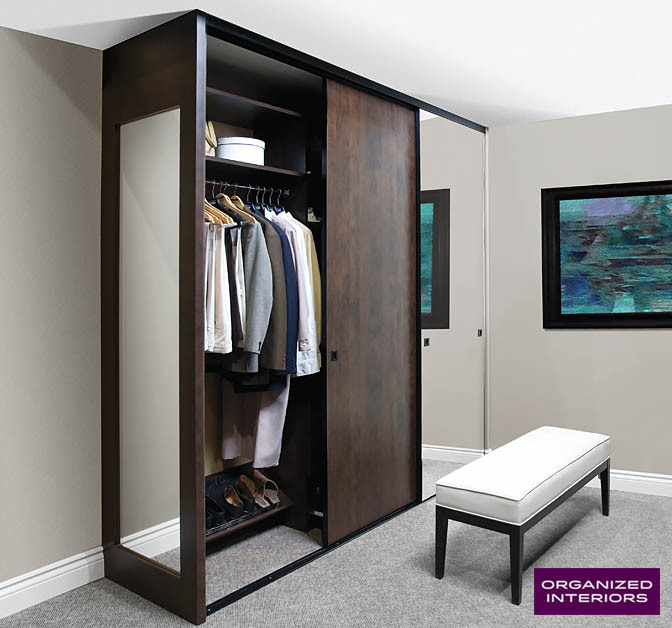 At Organized Interiors, we offer a revolutionary service called create-a-closet. We’ll visit your home, find unused storage space, and then custom-build an attractive, free-standing closet designed to fit your space and suit your storage needs perfectly. Whether it’s a basement, a bedroom, a children’s playroom, an entryway or mudroom, or even the family room, we can design a closet that will provide the storage you need and match the look and style of your home. Book a free in-home consultation with one of our design consultants today! Let us help you make good use of the storage space you never knew you had. There has never been so much choice in decorative panels. The number of colours and textures that can be used in custom cabinetry keeps growing every year. This plethora of choice makes it easier to create a custom closet or entertainment unit that matches your personal taste and blends well with the decor of a room. For 2014, Organized Interiors is introducing 14 exciting new colours that can be used in all of our custom cabinetry products. Which Colour Or Finish Is Right For Me? If you’re not sure which colour or finish is right for your space, take some photos with your smartphone and bring them to our showroom. At Organized Interiors you can browse through hundreds of samples and get a feel for the different styles that might work in your home. When you have questions or just want help choosing a decorative panel, we have design experts that can help. They’ll even visit your home and with you to design a storage solution that is right for you. And our in-home design consultations are free!